Just about everyone loves the sweet taste of ripe strawberries. But, sometimes recipes have been devised that require just the right amount of just the right form of strawberries. It can be confusion trying to juggle numbers and equations in one’s head while juggling berries, measuring cups, and other kitchen implements with one’s hands. 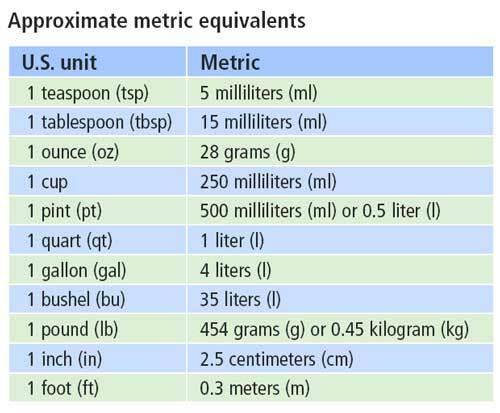 Enjoy your strawberry culinary creations, and hopefully these strawberry measures, conversions, substitutions, and equivalents will help you convert strawberry measurements so that you get it just right. How do I convert 3 tablespoons of strawberry preserves into actual fruit? I believe those oblong boxes of frozen strawberries available in the 70’s were 10 oz. packages. I too would like to know how many ozs were in the old rather oblong frozen strawberry containers. They had a metal top and bottom and a cardboard center. The strawberries were in a sugary syrup. I have a recipe that calls for 3 of those containers. Does anyone know? If so, please respond. Thanks! It completely depends on the recipe you are using and the size of the flats. Many recipes call for whole strawberries that puree down to 1/2 the volume. So, if you get a gallon-sized flat, each one should do roughly two quarts. So, you’d need a ballpark of 10. Good luck! I have a question reguarding frozen strawberries. In the 1970s frozen strawberries came in rather oblong containers. They had a metal top and bottom and a cardboard center. They are no longer made that way. I have a recipe for a cake that calls for 3 of those containers. I do not know how many ounces each contained. Does anyone know? I’m sorry, but I don’t! Good luck! Can you substitude 4 cups fresh strawberries for 4 cups of frozson strawberries? Yes, as long as they are in the same form (i.e. whole vs chopped vs pureed, etc). Good luck! You had the answer, thank you for this site. I needed to know how many strawberries make a quart. I’m glad you found the answer for which you were seeking!